It’s time for another “litter of the season” scavenger hunt – find it, pick it up, post a picture on your personal Instagram or Twitter account using #RiverCleanup and #MakeAPactPackItOut, and you’re in our sweepstakes! 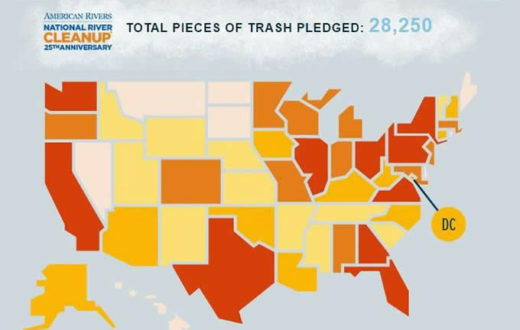 It’s time to talk trash again, or more specifically, plastic litter. 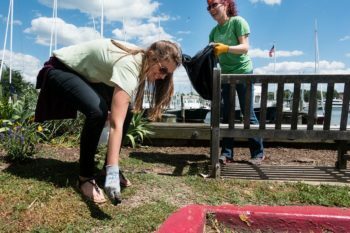 Last year, American Rivers teamed up with dedicated litter picker-upper and blogger, Erin Fitzgerald, on an initiative to – you guessed it – pick up litter. But this wasn’t an ordinary litter cleanup; it was a cleanup with a twist… Think scavenger hunt. We had a lot of fun and received submissions from across the country. We raised awareness about the high prevalence of litter and sent a resounding message that we all have a shared responsibility to leave our wild places and waterways better than we found them. Now is the time for another Litter for All Seasons scavenger hunt! A Litter for All Seasons is an invitation — an opportunity to clean up your favorite river, trail, park, riverbank or neighborhood and share your achievement. If you have kids, we encourage you to invite them along. It’s a great stewardship activity for all ages. 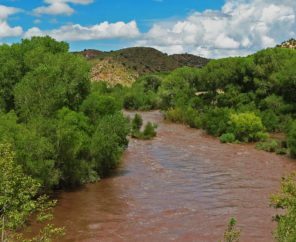 You’ll be able to clean up your community, make a difference for rivers, and set an example for other stewards. And like any good scavenger hunt, there are prizes. 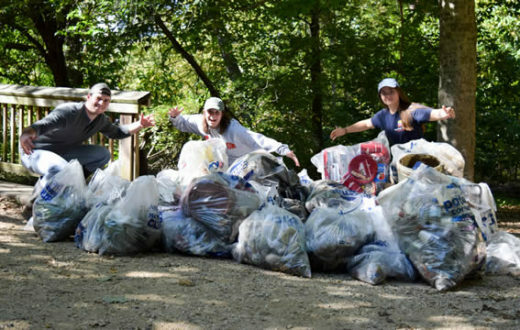 This month and throughout next year, we’ll announce a “Litter of the Season.” Then the hunt is on to find the challenge litter, take a picture of it, and post it to your personal Instagram or Twitter account with the hashtags #MakeAPactPackItOut and #RiverCleanup. This fall, our Litter for All Seasons hunt, will be focused on plastic litter. Discard of the litter responsibly (recycle it or put it in the trash). Feel free to keep the hunt going – you can pick up and tag as much litter as you find, but you’ll only get one entry per person for each season. 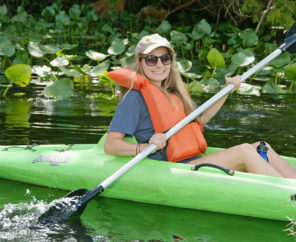 Your picture(s) will populate on American Rivers’ Virtual Landfill and Erin’s online gallery, Make a Pact, Pack It Out. 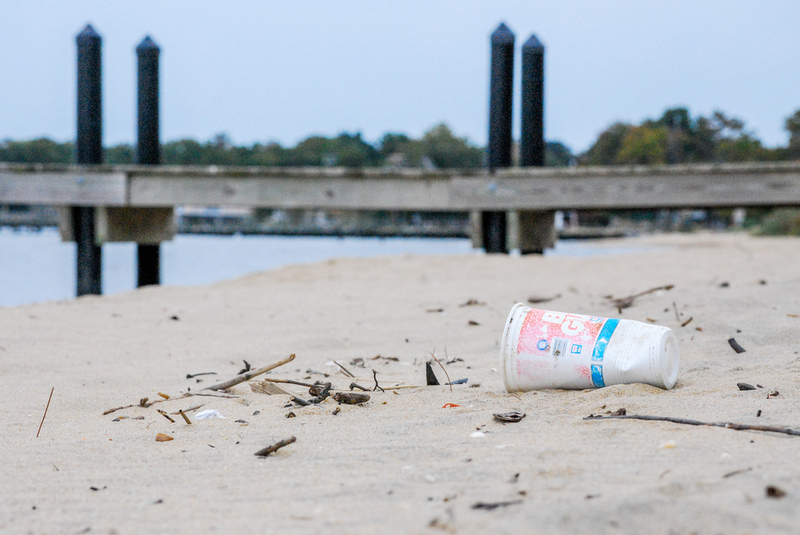 Grow the scavenger hunt – share this blog post and your plastic litter photos with your friends, family and co-workers to encourage them to join you (maybe a little friendly competition to see who finds the most of plastic litter). Your friends, family and co-workers will be more likely to join in if they see that you are. Your challenge is to find discarded plastic of any kind (bottles, straws, bags, cutlery, packaging, caps/lids, etc.). Once you find plastic litter, take a picture of it and post it to your personal Instagram or Twitter account with the hashtags #MakeAPactPackItOut and #RiverCleanup (make sure your accounts are public!). Plastic is one of the most heavily littered items and can take hundreds of years or longer to break down — or not at all. Plastic breaks down into smaller pieces called microplastics. Alternatives exist for most single-use plastics – we encourage you to adopt a mindset of reusing, refilling and repurposing to reduce your plastic footprint. 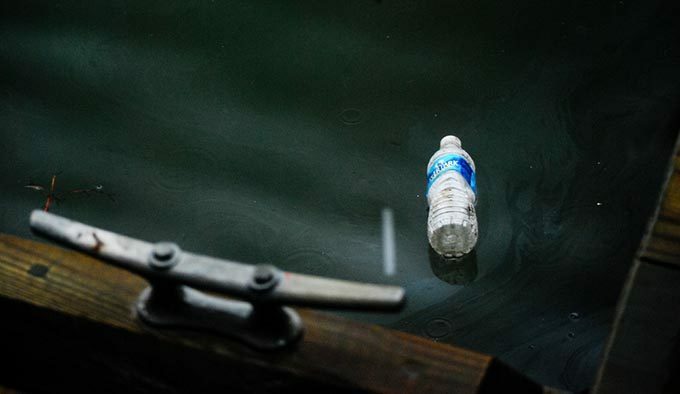 From the garbage patch in the Pacific Ocean to plastic water bottles and straws on a roadside, plastic litter surrounds us and threatens our pets, wildlife and waterways. PRIZES: Three (3) winners will be chosen at random and matched with a prize that is the perfect complement for outdoor adventures. One (1) winner will receive an American Rivers branded Klean Kanteen reusable insulated bottle and two (2) winners will receive both a Chaco® Fit for Adventure notebook (8×8”) and a LOKSAK® reusable waterproof bag (8×7”). This season’s scavenger hunt kicks off Tuesday, September 18 and ends on Monday, October 1. Your picture(s) must be uploaded to social media account(s) with the hashtags #MakeAPactPackItOut and #RiverCleanup by 11:59 pm PST on October 1 to be eligible to win (see complete rules). Don’t miss a season – make sure to check American Rivers’ The Current blog and Adventures in Thumbholes’ blog for updates on timing. Scavenger hunts will also be announced on social media, so make sure you’re connected to @AmericanRivers and @Thumbholes on Instagram, Twitter, and Facebook (@AdventuresInThumbholes for Facebook). Each Litter Season will have a different treasure (prize) up for grabs. Prizes will be in the spirit of sustainability and stewardship. At the conclusion of each scavenger hunt, a winner will be selected at random from all entries. As environmental stewards, we know picking up and packing out litter not only keeps our public spaces looking great, but all of our wild places. When litter is left on our lands, rain and floodwater can carry it into storm drains and then quickly into our creeks, rivers and even oceans. We look forward to seeing your submissions, as they represent stories of stewardship and care behind every piece of litter picked up. While traditional scavenger hunts focus on a treasure – here the treasure is knowing you left the environment better than you found it. Author: Erin Fitzgerald is a trail runner from Portland, Oregon. Her blog, Adventures in Thumbholes, has two initiatives (Small Change and Make a Pact, Pack It Out) that focus on stewardship and giving back to the communities where we race and adventure. Erin’s passion for preserving wild places has earned her the reputation of a litter-picker-upper, which she happily embraces. Of all the challenges coming out of social media, this is the best one and should be the challenge that everybody will take part to instead of all the other none sense challenges. If everyone will do this the Earth will be a happy planet. I love this idea. I pick up a lot of litter, but rarely post about it. I will definitely be posting for this soon. Unfortunately, most people probably won’t have to venture more than 100 feet from their front door to find a piece of plastic litter. It would be fun to add a more difficult challenge like picking up litter until you find a white plastic spork. 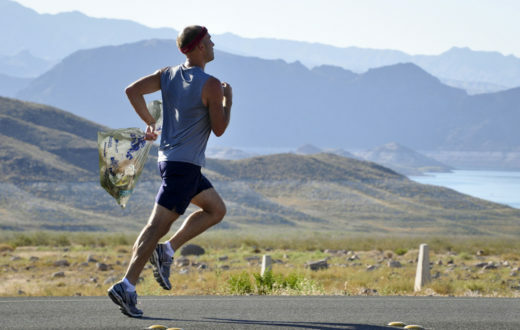 Don’t Walk… Run and Start Plogging! The word plogging comes from jogging and “plocka upp,” the Swedish word for ‘pick-up’. What's weighing down your river?